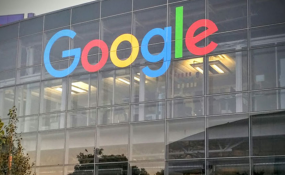 Google Search has now made it possible for Swahili users to get more intelligent and contextualised results of people, things and entities that Google already knows about. Swahili is one of the most spoken African languages and Google has now made it much easier for the over 100 million Swahili speakers to search for things they care about. The information is presented to users in an infobox next to the regular strings of search results. "When someone conducts a search, they want answers as quickly as possible. To help Swahili speakers discover new information more easily, we're now making the Google Knowledge Graph available in Swahili," said Christina Lin, product search marketing lead for SSA. "This means that next time you search for President Uhuru Kenyatta under the Kiswahili language setting, you'll instantly get information that's relevant to your query such as President Kenyatta's date of birth, siblings, and children among other biographical details." Launched in 2012, the Knowledge Graph is a search capability that understands real-world entities and their relationships to one another instead of simply listing keywords in unrelated contexts: things, not strings. The Knowledge Graph enables you to search for things, people or places that Google knows about--landmarks, celebrities, cities, sports teams, buildings, geographical features, movies, celestial objects, works of art and more--and instantly get information that's relevant to your query. It is a critical first step towards building the next generation of search, which taps into the collective intelligence of the web and understands the world a bit more like people do. It is not just rooted in public sources such as Freebase, Wikipedia and the CIA World Factbook, it's also augmented at a much larger scale--because Google Search is focused on comprehensive breadth and depth. raph is currently available in 59 languages, mapping out how more than 1 billion things in the real world are connected, and over 70 billion facts about them.It is tuned based on what people search for, and what we find out on the web, improving results over time.